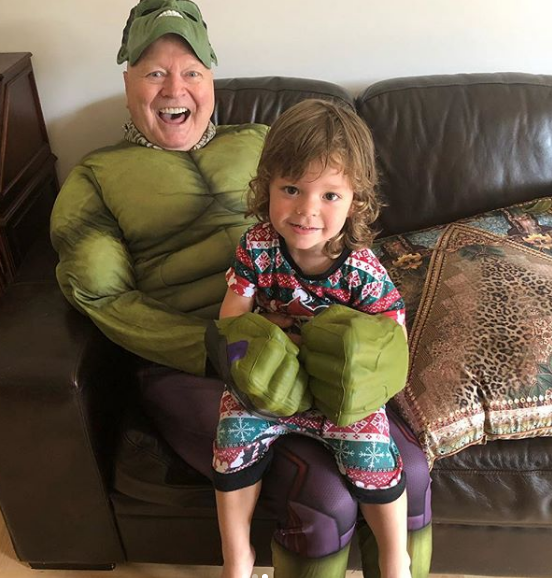 Bert Newton has gone above and beyond to make his grandson’s birthday the best he has yet by dressing up as one of his favourite superheroes. The 80-year-old turned a shade of green for little Monty’s special day as he transformed into none other than the great comic book character, The Hulk. Sporting a full green costume, complete with massive Hulk gloves and a scary mask, Bert went all out for the occasion this week. 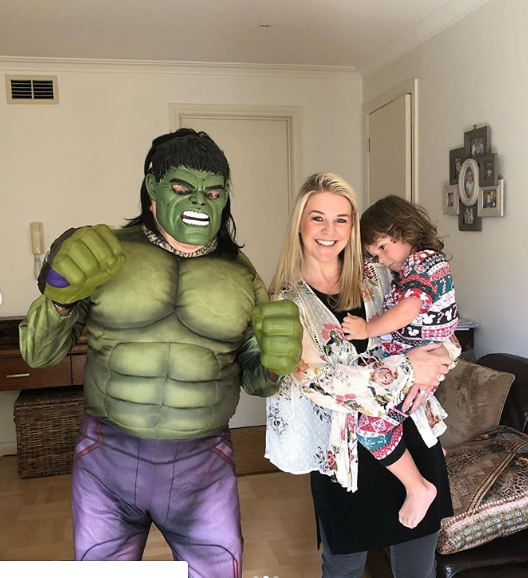 His wife Patti took to social media on Monday to share photos from the day, including one of Bert posing in the Hulk’s angry stance and others with the the excited three-year-old. While in one photo little Monty looks a little unsure of his grandad as he cuddles up to his mum Lauren, in the other he seems delighted to have Bert, aka The Hulk, attend his birthday as he sits upon his lap. The media personality also looks thrilled to be able to take on the role of The Hulk for the fun event, sporting a huge smile with his mask removed. Fellow grandparents and fans of Bert were quick to commend the grandad for his effort in making Monty’s birthday that much more special, leaving comments of support and happy birthday messages for his grandson. “Happy birthday sweet little boy… how exciting to meet your idol,” one person wrote on Instagram. “That’s fabulous .. well done poppy! Happy Birthday Monty!” another wrote. While a third added: “It looks like grandchildren are keeping Bert and yourself young”. Both Bert and Patti spend quite a lot of time with their beloved grandkids and it’s fair to say, they, just like any other doting grandparents would do just about anything to keep the little ones happy. So much so that last month Bert let his granddaughter Lola paint his nails. In a photograph, shared by Patti on Instagram, the former Good Morning Australia host can be seen sporting pink nails, which matched perfectly with his pink and blue bracelets. How many grandchildren do you have? Have you ever dressed up as something special for their birthday?